Adopting ISO 9001 demonstrates our customer-focused approach and commitment to delivering high quality services, and as businesses face increasing pressure from customers, regulators and governments to reduce their environmental impact, gaining ISO 14001 certification shows our commitment to achieving this goal. Local and traditional materials were used throughout the build enabling the finished home to blend with the surrounding landscape. 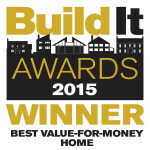 This Award recognises an outstanding newly built home constructed using the Wallform 313 system. Completed to a high standard of quality, total construction cost was less than £750/m2. 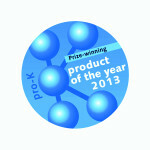 The Wallform system won the prestigious Pro-K Product of the Year Award in Germany for its excellent design and environmental credentials. Members of the product judging panel were particularly impressed how Wallform makes thermal insulation easy to install and yet more effective at the same time. 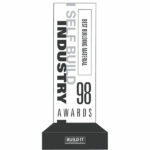 This Award celebrates a very modern self build home located on the Shetland Isles and built to an excellent standard of energy performance, whilst at the same time remaining a very practical home for a young family to grow up in. This project really stood out to the judges as a prime example of Self Build achievement. 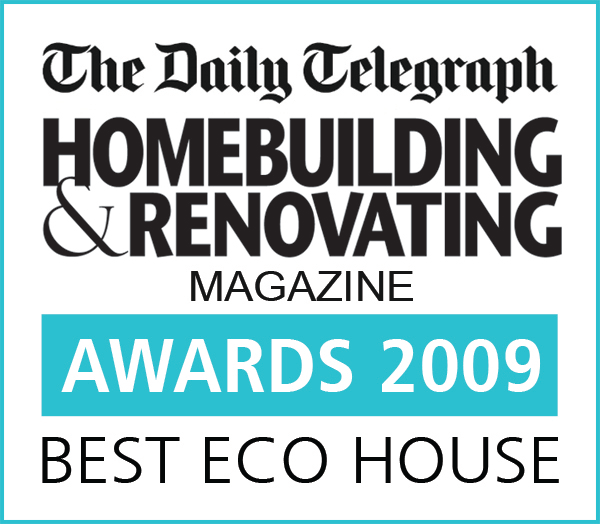 Designed by architect Don McLean to make the most of a limited site with wonderful views over Glasgow, this spacious and bright family home won the Eco House Award in the Homebuilding & Renovating Daily Telegraph Awards. Read the Case Study here. This stunning, contemporary home designed by the Allison-Pyke Partnership won the Best Contemporary Home category in 2002 with the Homebuilding & Renovating Daily Telegraph Awards. 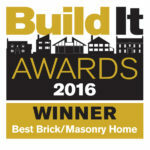 As winner of its own category, this project then went forward to the Grand Finals where it won again, gaining the even higher accolade of Home of the Year! Read the Case Study here. 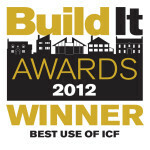 Our first Award for BecoWallform – and the first for ICF in the UK as a mainstream construction system, recognising Wallform’s high performance standards whilst at the same time simplifying and speeding up the building process.